Many of NASA's most iconic spacecraft towered over the engineers who built them: think Voyagers 1 and 2, Cassini or Galileo—all large machines that could measure up to a school bus. But in the past two decades, mini-satellites called CubeSats have made space accessible to a new generation. These briefcase-sized boxes are more focused in their abilities and have a fraction of the mass—and cost—of some past titans of space. "These are our scouts," said Andy Klesh of JPL, MarCO's chief engineer. "CubeSats haven't had to survive the intense radiation of a trip to deep space before, or use propulsion to point their way towards Mars. We hope to blaze that trail." The official names of these two scouts are "MarCO-A" and "MarCO-B." But to the team that built them, they're "Wall-E" and "Eva"—nicknames based on Pixar characters. Both MarCOs use a compressed gas commonly found in fire extinguishers to push themselves through space, the same way Wall-E did in his 2008 film. Survival is far from guaranteed. As the saying goes: space is hard. The first challenge will be switching on. 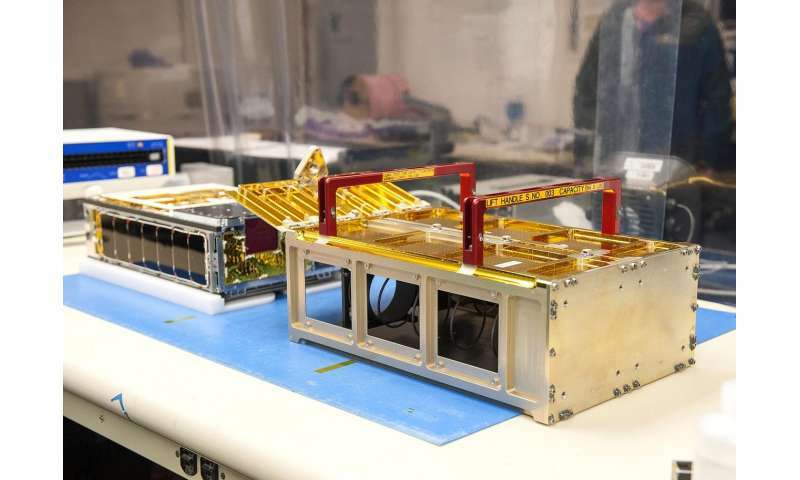 The MarCO batteries were last checked in March by Tyvak Nano-Satellite Systems of Irvine, California, which inserted each CubeSat into a special dispenser that will propel it into space. 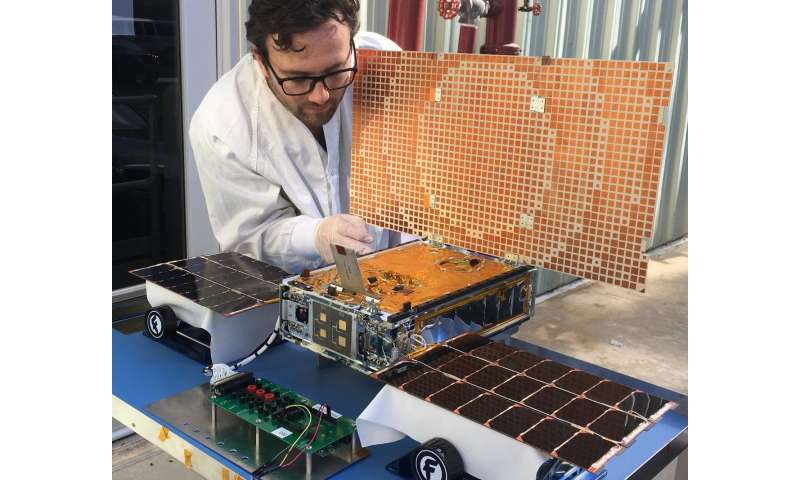 Those batteries will be used to deploy each CubeSat's solar arrays, with the hope that enough power will be left over to turn on their radios. If power is too low, the MarCO team may hear silence until each spacecraft is more fully charged. 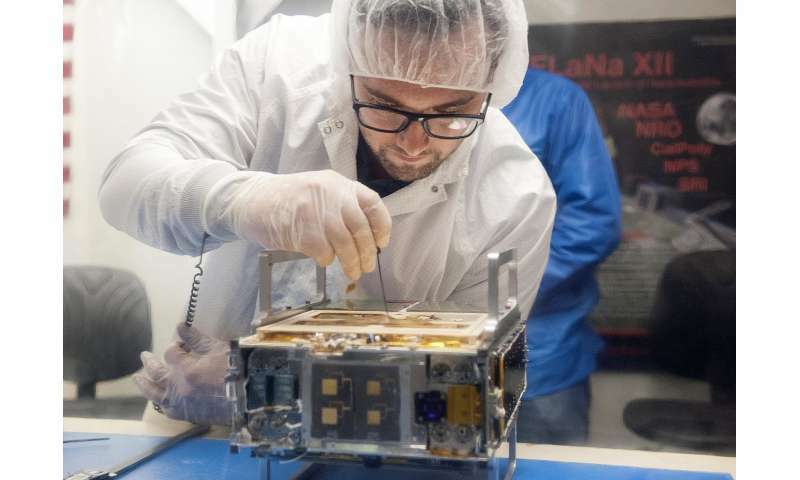 If both MarCOs make the journey, they'll test a method of communications relay that could act as a "black box" for future Mars landings, helping engineers understand the difficult process of getting spacecraft to safely touch down on the Red Planet. Mars landings are notoriously hard to stick. 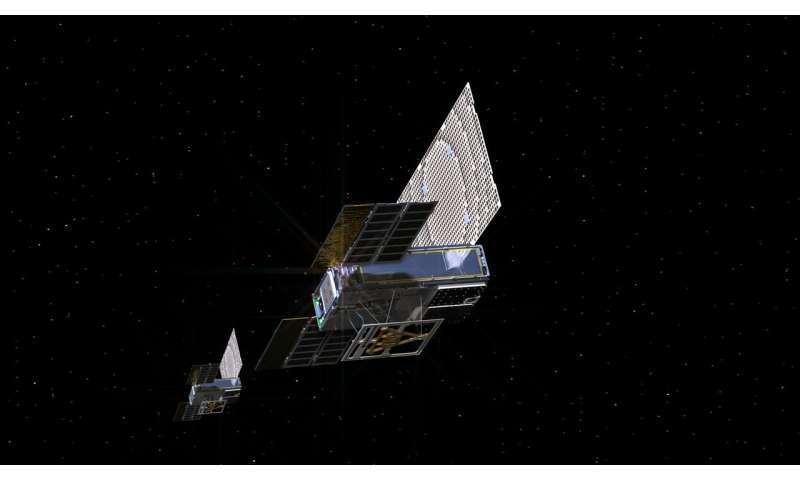 The MarCOs could also prove that CubeSats are ready to go beyond Earth. CubeSats were first developed to teach university students about satellites. Today, they're a major commercial technology, providing data on everything from shipping routes to environmental changes. "We're a small team, so everyone gets experience working on multiple parts of the spacecraft," Klesh said. "You learn everything about building, testing and flying along the way. We're inventing every day at this point." The MarCOs were built by JPL, which manages InSight and MarCO for NASA. They were funded by both JPL and NASA's Science Mission Directorate. A number of commercial suppliers provided unique technologies for the MarCOs. A full list, along with more information about the spacecraft, can be found here.